Spatial Corp., the well known developer of 3D development components catering to design, manufacturing and engineering solutions, has just unveiled the R25 release of 3D ACIS Modeler and 3D InterOp for data reprocess. This newest version comes with various improved features which will be very useful Independent Software Vendors (ISVs) and Machine Tool Manufacturers. 3D ACIS Modeler: 3D ACIS Modeler is based on superior quality 3D components and it augments the application delivery time by making the development efforts easy, thus saving software development time. 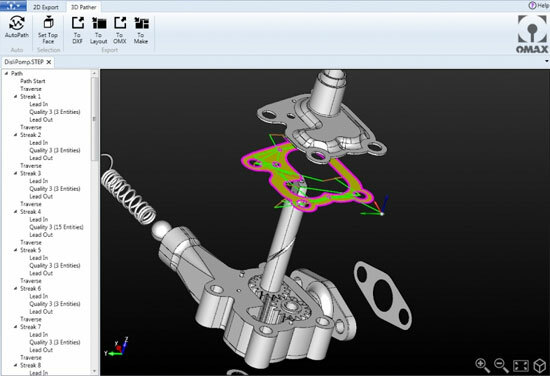 With latest Boolean features, the manufacturing workflows become easier. One can deal with non-exact geometry easily by managing intelligent, efficient reprocess of geometry. It will save significant time for designers and engineers. There is a new aspect of feature recognition that facilitates the designers to edit feature level geometry devoid of editing the model history applicable for visualization, analysis and simulation. This is particularly useful for the EDA market and the modeling of printed circuit boards. 3D InterOp: Spatial’s 3D InterOp is able to selectively import product structure, graphics data, geometry and PMI from a versatile recognized CAD and neutral formats, facilitating better competitive differentiation, quicker time-to-revenue, and superior quality for application development. Compatible with various 3D data formats like DXF, DWG, STL as well as those generally applied in the automotive market. Extended PMI features for both graphical and semantic, empowering Spatial’s customers to offer abilities to support MBE/MBD initiatives. Vivekan Iyengar, will invite guest to a special event on September 25, 2014, 11:00 AM MST where attendees can discover how to be more competitive with the highly developed 3D capabilities for 3D application development. Mr. Iyengar, will presents the most updated features and functionality as well as update you with the latest enhancements to 3D ACIS Modeler and 3D InterOp. To register for this event, visit: info.spatial.com/r25-webinar-registration.